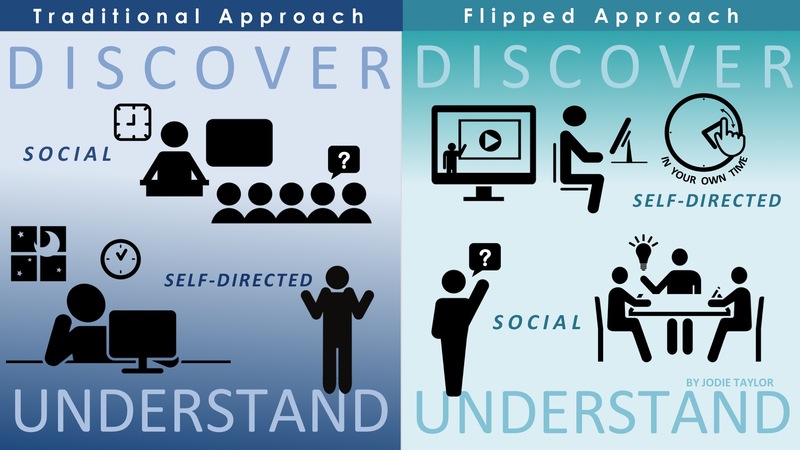 Following my previous post, here’s the second recent attempt at creating an original resource to explain the flipped classroom to my students and tutors. If you like the result, feel free to use it in your own practice. You can read more from me about blended learning and find this resource (along with many others) in a recent post about blended learning. Or you can check out the same content on my Roojoom page which is an exciting new storytelling and curation platform I recently discovered and have been having a bit of fun with.